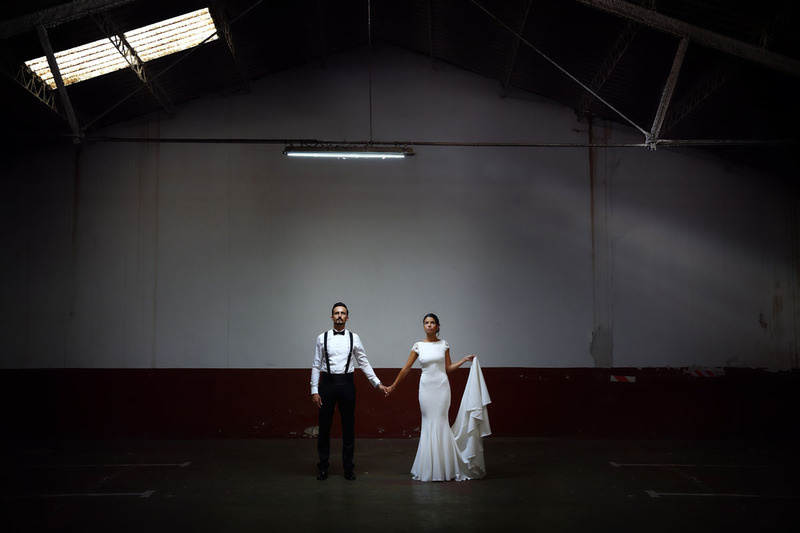 The story we tell you today is about the elopement wedding in Barcelona by Matthew and Jewel From which Below we show you the photographs taken in the restaurant of La Baronia in Sant Feliu de Codines. 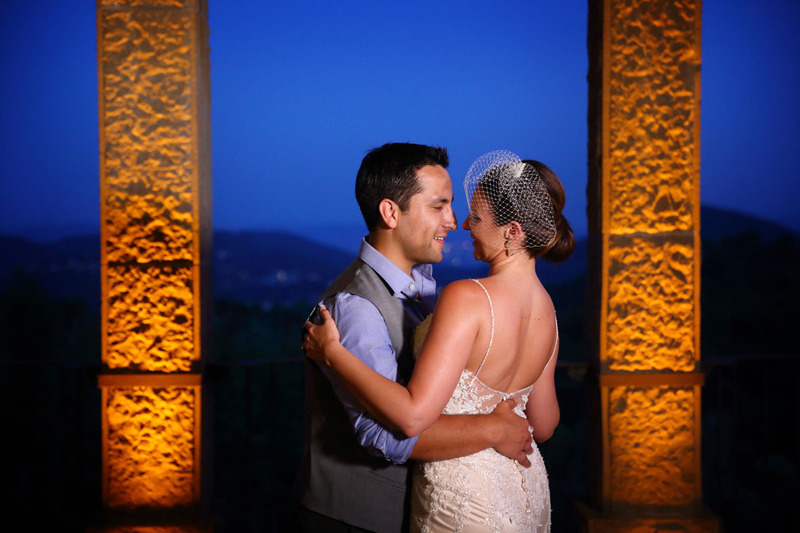 From oliver & viladoms studio we are very happy and proud that this couple living in San Diego in the United States chose us to be their WEDDING PHOTOGRAPHERS IN BARCELONA. 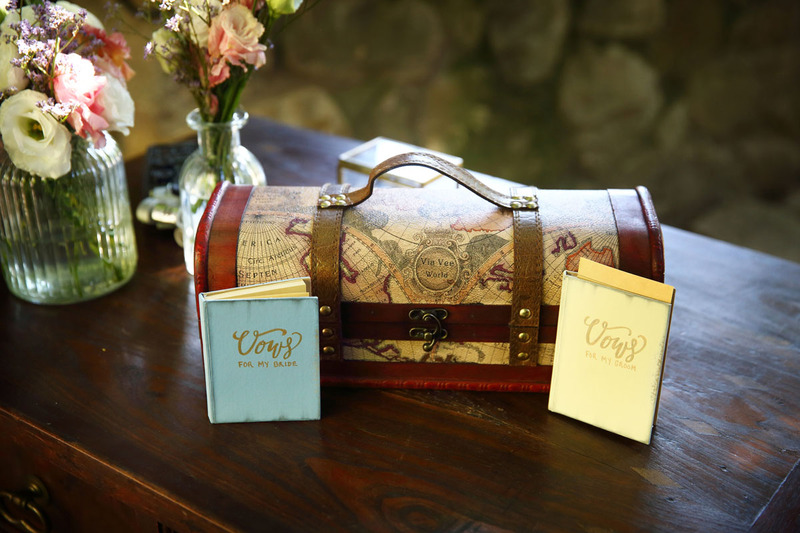 We want to thank the intermediation of our colleague Sonia, Mallorca Wedding Planner who presented our folio to the couple. 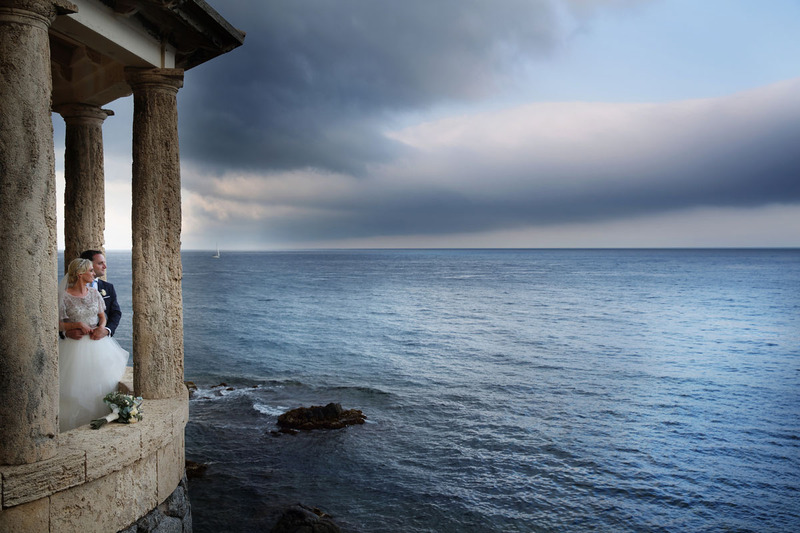 The Baronia in Sant Feliu de Codines is a very special place to which we have already worked on other occasions as wedding photographers in Barcelona. 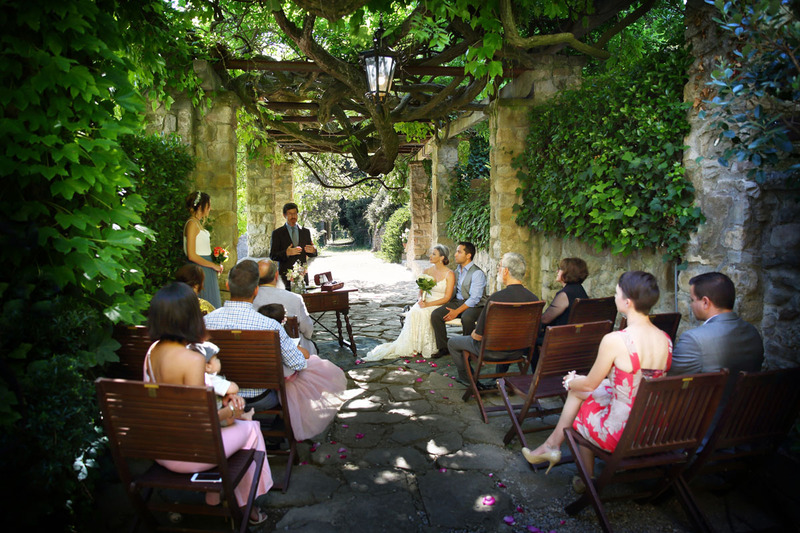 In recent years, the Baronia in Sant Feliu de Codines has been converted into a fairly focused and specialized farm to make weddings in Barcelona, ​​especially thanks to the help and cooperation of the Wedding Plans together with the management of the Baronia. 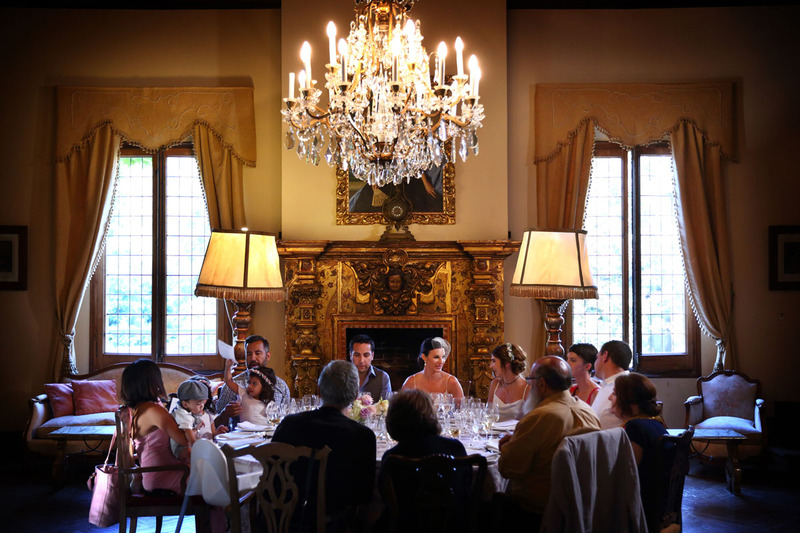 The wedding began in Barcelona, ​​where the groom chose the Hotel Miramar to change with his father and his brother. There we took different natural photographs while putting on the shirt and the different accessories before leaving for La Baronia in Sant Feliu de Codines where the ceremony and dinner would be held. 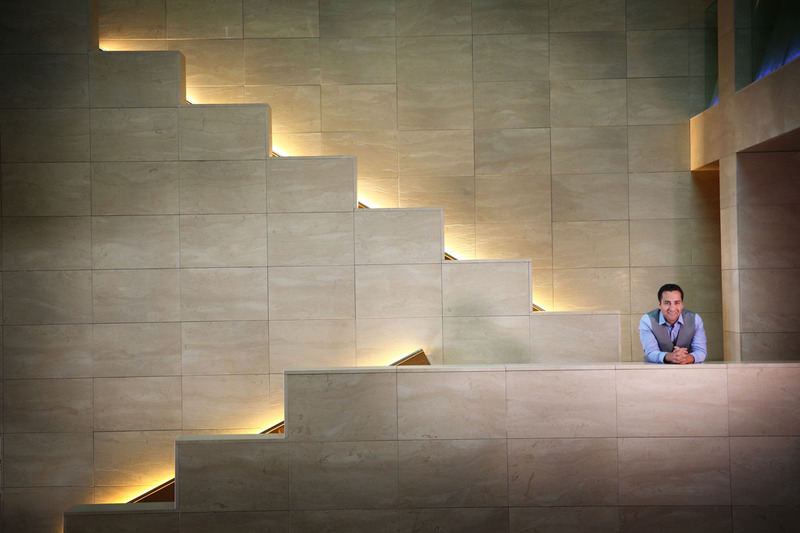 Matthew, the groom dressed in the Hotel Miramar and decided to take some pictures in the room, on the stairs of the Hotel and also on the exterior of the Hotel. 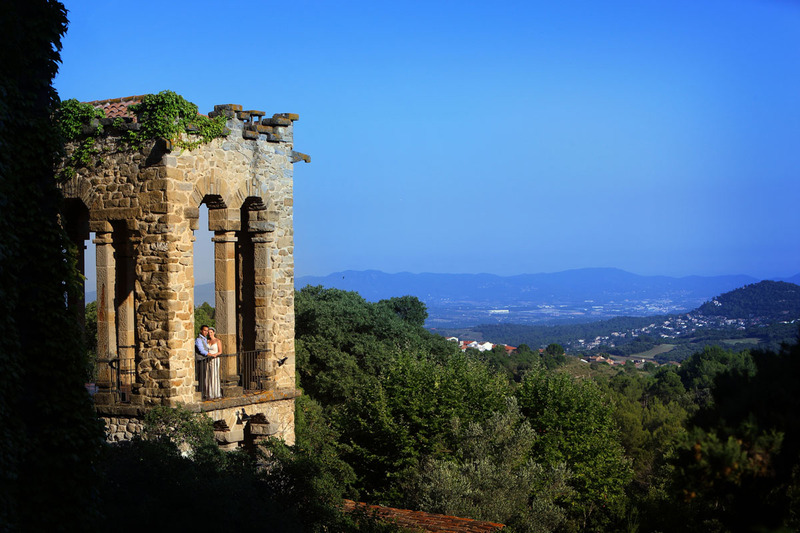 Once we finished we moved with our vehicle to La Baronia in Sant Feliu de Codines where we stopped the vehicle and made some photographs of the Baronia and the landscape that surrounds it. 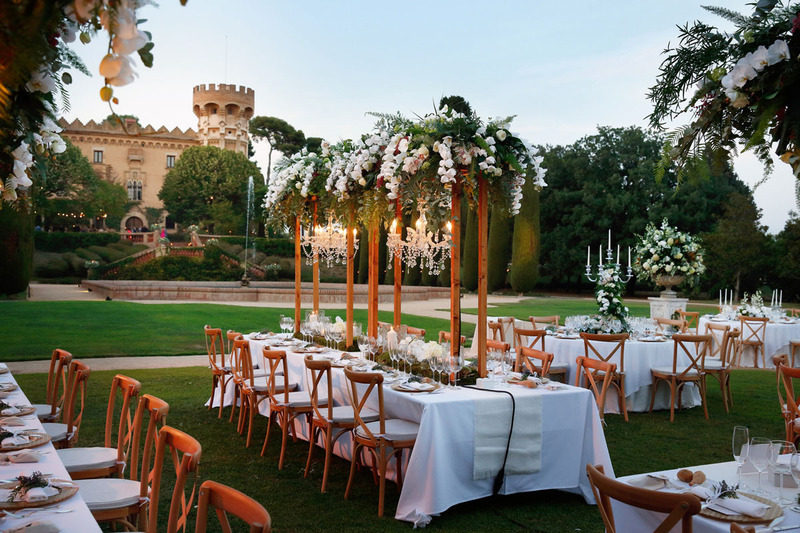 When you get there you understand why the Wedding plans choose this place for wedding destination in Barcelona. 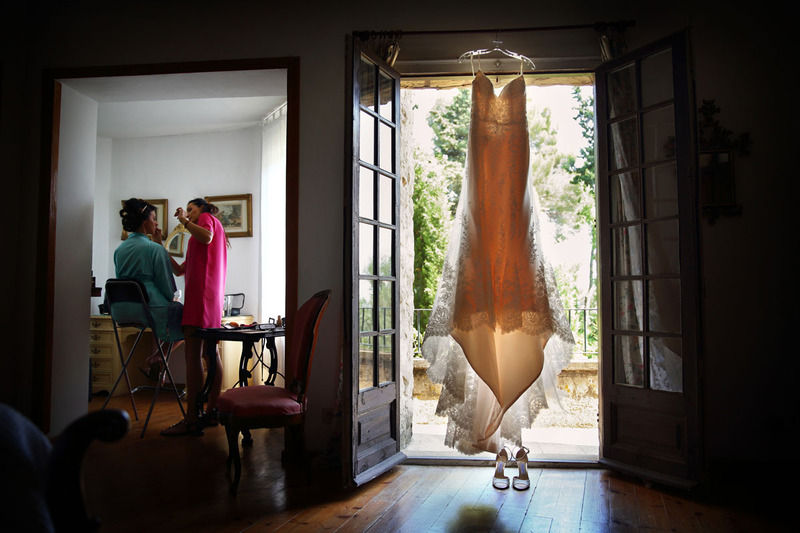 When we arrived at La Baronia in Sant Feliu de Codines the bride was in her room with her mother and her daughter, putting on makeup and combing their hair. 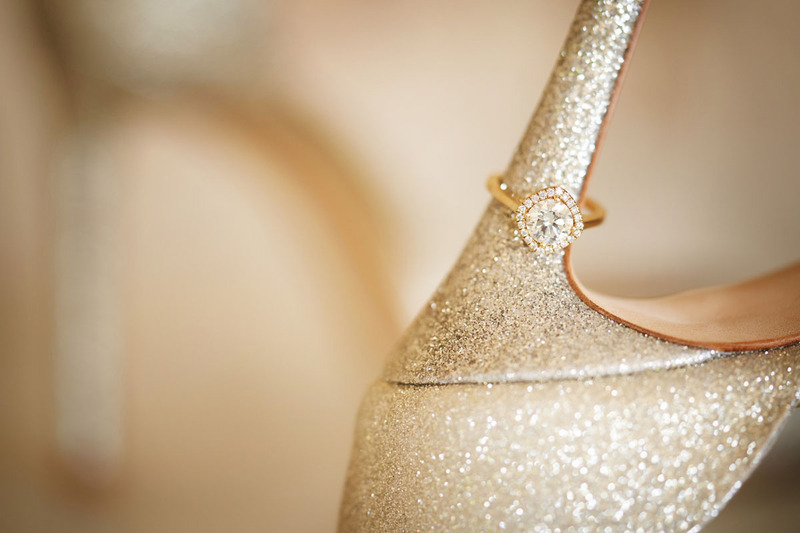 We opted to take some pictures while they were relaxed and we also made many photographs of details in which we used the shoes of the bride, her bouquet of flowers, and also the dress of the bride. 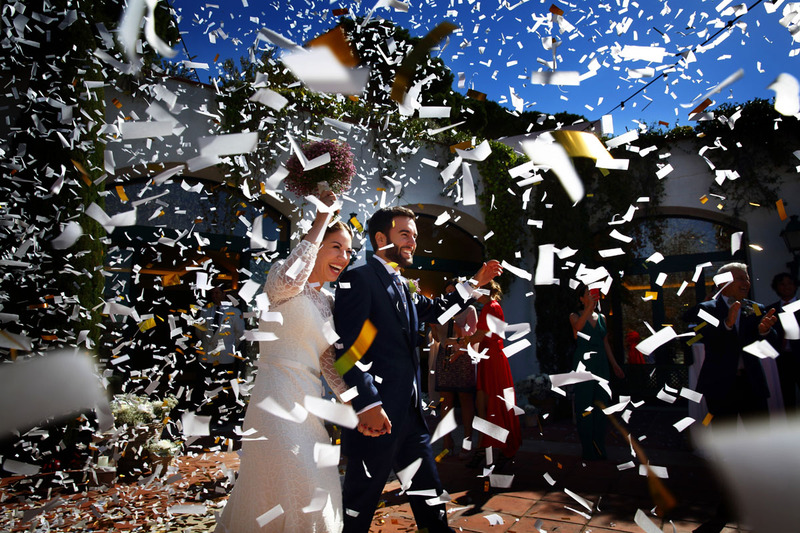 While we were making these photographs we realized that the bride was writing the vows for her future husband whom she would read during the ceremony of this spectacular destination wedding in Barcelona. 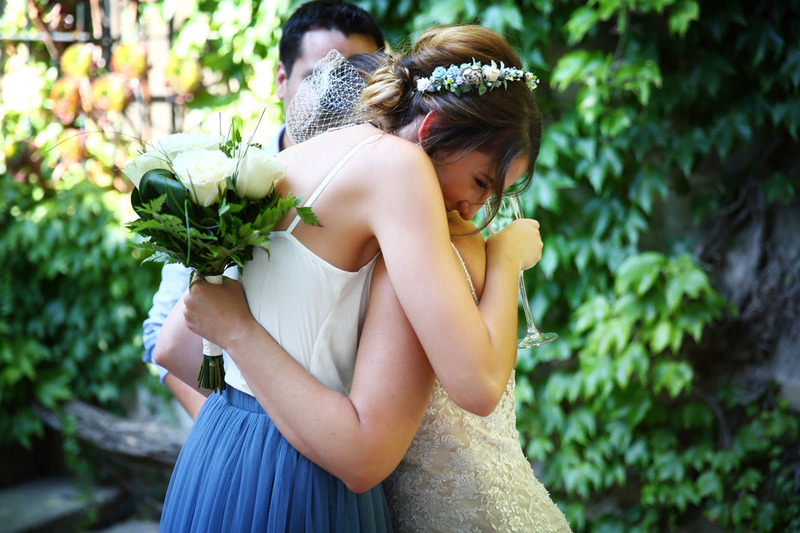 Nowadays the great majority of foreigners not resident in Catalonia choose to hire the services of a Wedding planner to help them organize their destination wedding in Barcelona. 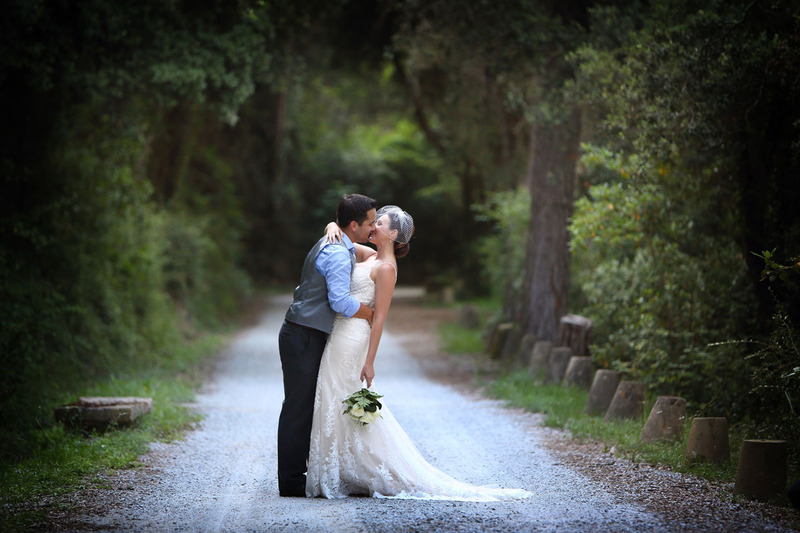 It is totally logical because if it were not for the help that a Wedding Planner gives them, they would never find such special spaces as La Baronia in Sant Feliu de Codines to be able to make their destination wedding in Barcelona. The make-up and the hairdressing salon were quite extended, and once they were finished we were able to take some pictures while the sister of the bride helped to dress her. Then she put on her earrings and we were able to take some photographs of the portrait on the covered terrace of the bride’s room near her room in La Baronia in Sant Feliu de Codines. There we found a nice light, and we took the opportunity to make some portraits with the bride’s bouquet and above all we made the family photographs with her sister to her father and mother. 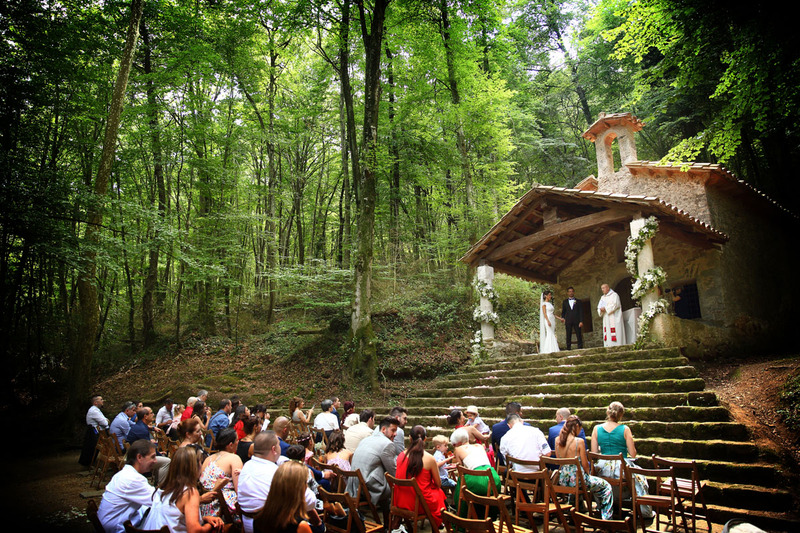 As our friend Sonia told us, the wedding planner, who organized this wedding destination in Barcelona located in the Baronia, the ceremony would be very brief but exciting. 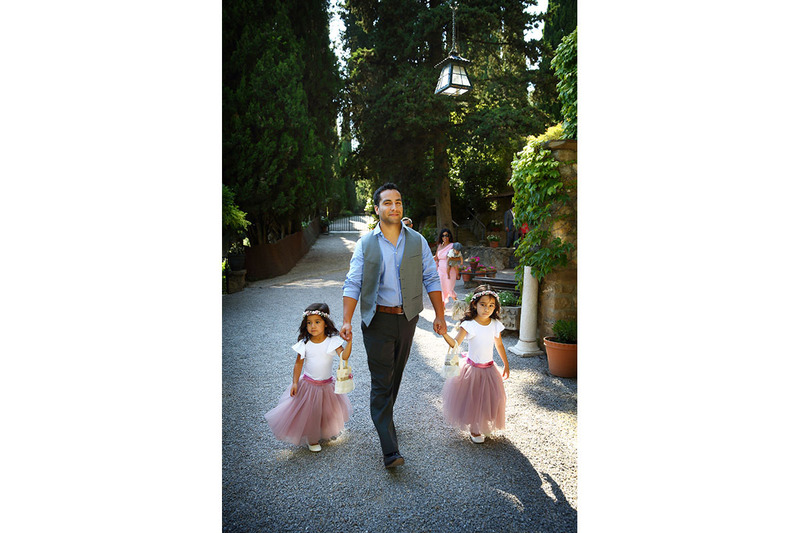 The boyfriend and his family arrived at the farm and immediately went down to the ceremony area with their two little nieces. The groom made the entrance to the ceremony with his mother and after a few minutes of waiting came the sister of the bride who made a single entry. 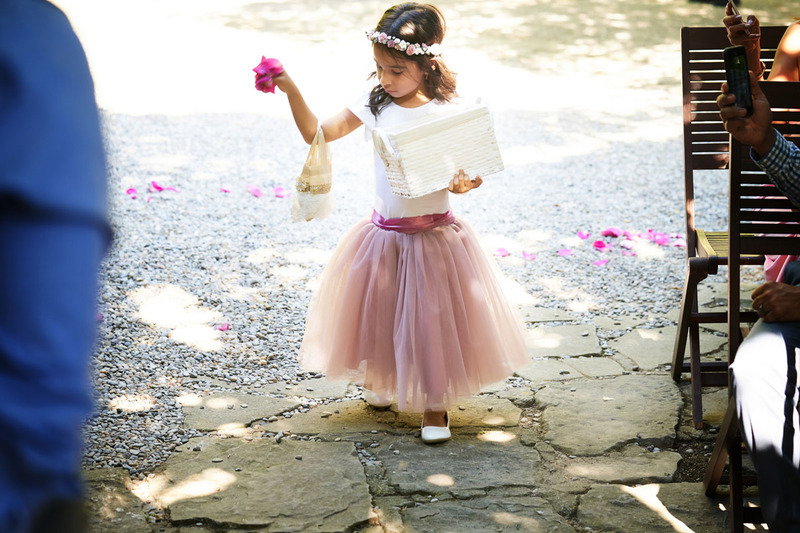 Then one of the groom’s little nieces made an entrance through the small hallway while throwing some petals. All the coordination was thanks to the Wedding planner. Finally the bride arrived with her father and very slowly made the entrance to the altar that the wedding planner located in a beautiful corner of the farm. 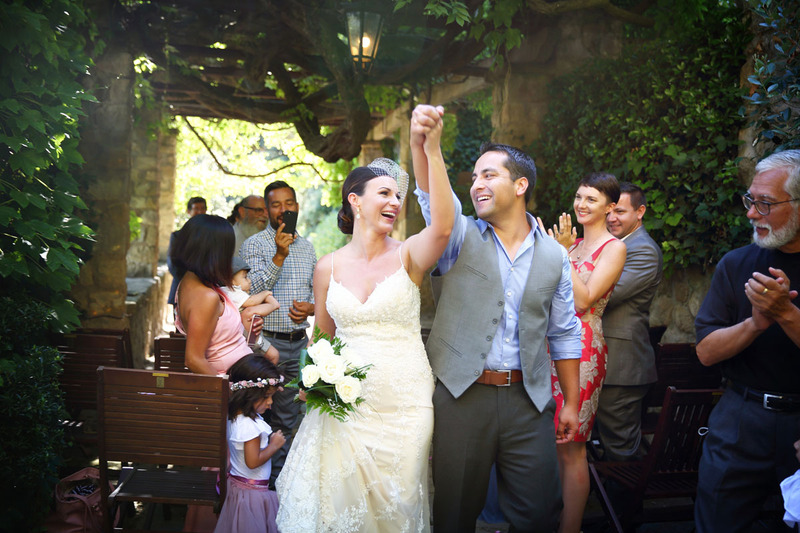 When the bride arrived at the altar, the two were thrilled and held hands. 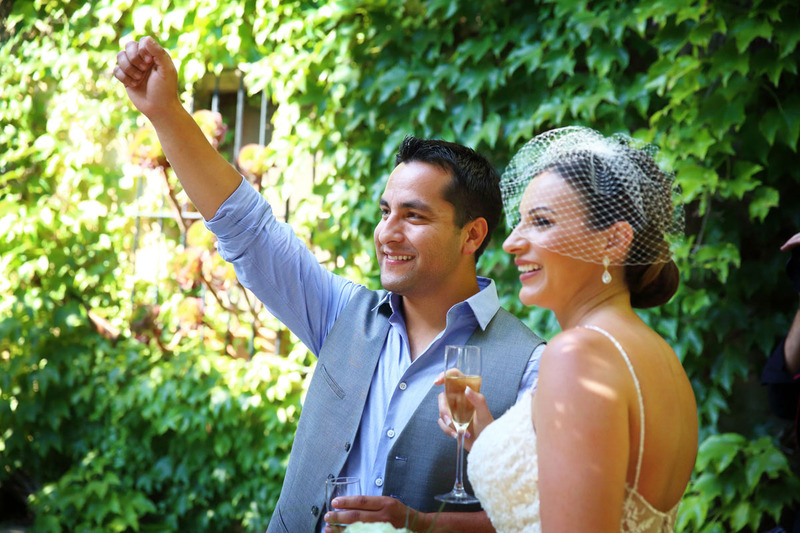 We, as wedding photographers in Barcelona, ​​take all the photographs capturing gestures, looks and complicity between the couple. 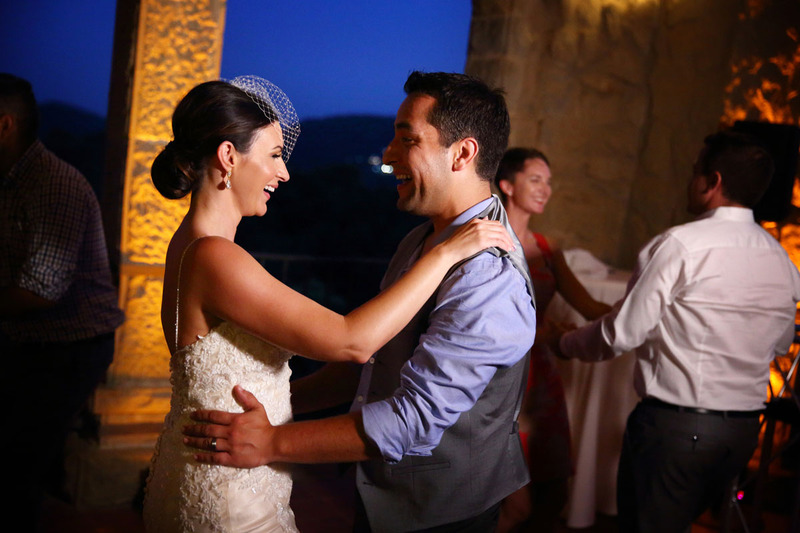 The officiant was our friend Xavi who speaks four languages, Catalan, Spanish, English, and French. 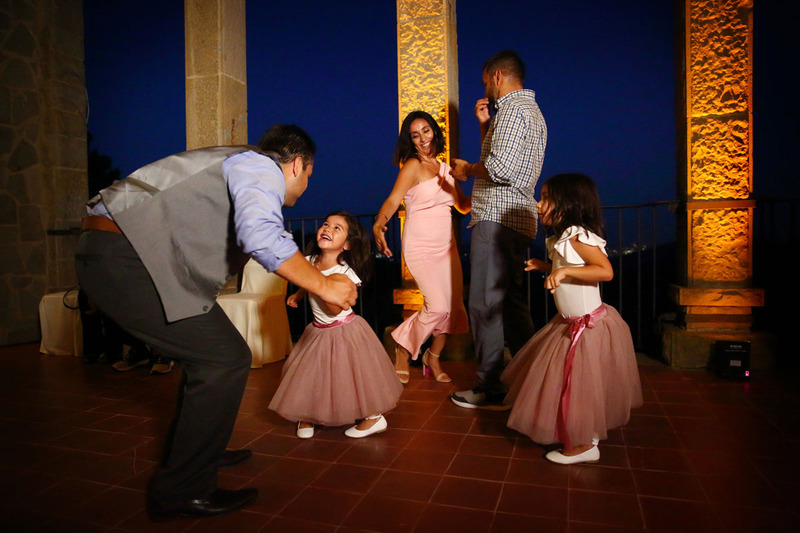 He was the officiant chosen by the bride and groom to celebrate this destination wedding in Barcelona that Sonia organized, the Wedding planner in La Baronia in Sant Feliu de Codines. The ceremony went on normally until it was time for the exchange of the rings where both the bride and groom left their tears behind and everything was joy. Then the couple embraced and kissed. 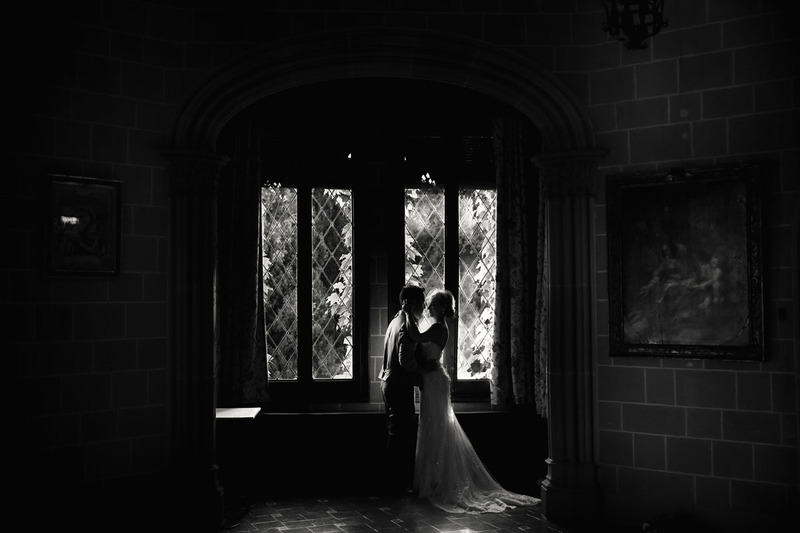 Once the ceremony was over, the bride and groom held hands and went out into the hall while the guests threw the petals. 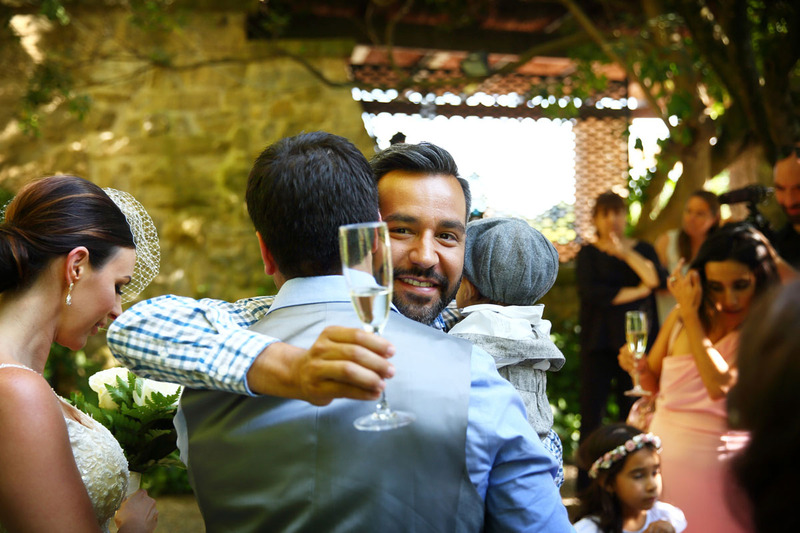 All the guests were immediately to hug and congratulate the couple while the waiters of La Baronia began to distribute glasses of champagne to everyone. 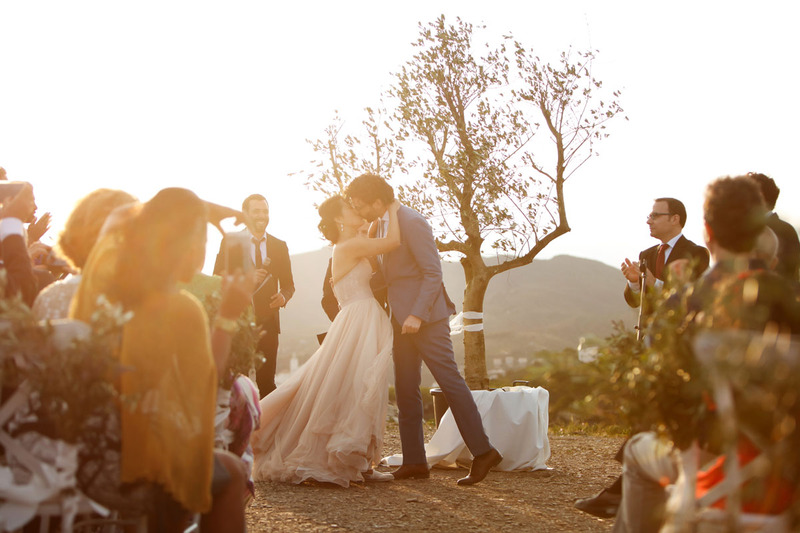 This destination wedding in Barcelona that celebrated its ceremony in La Baronia was a success. After the hugs, we made a series of group photographs with the family and then the couple and the photographers began the couple’s photo shoot. 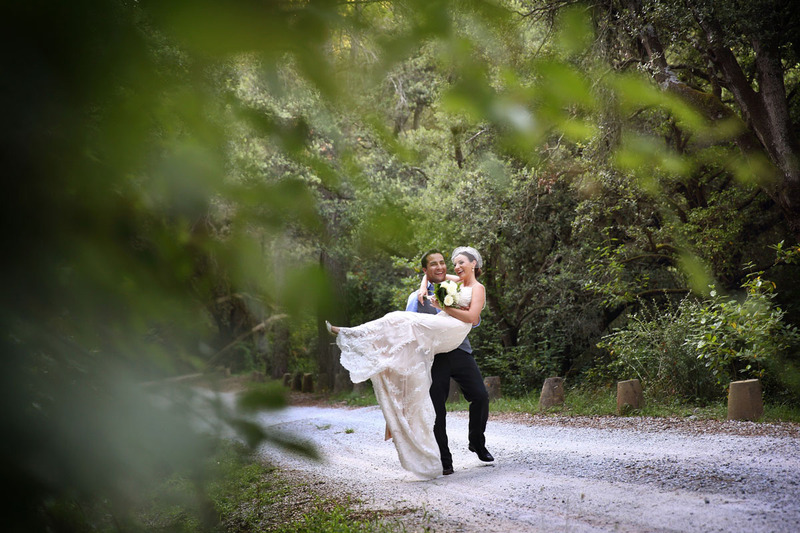 We started making some natural photographs while the couple were walking and so to capture a little movement and at the same time looking at their expressions of joy. 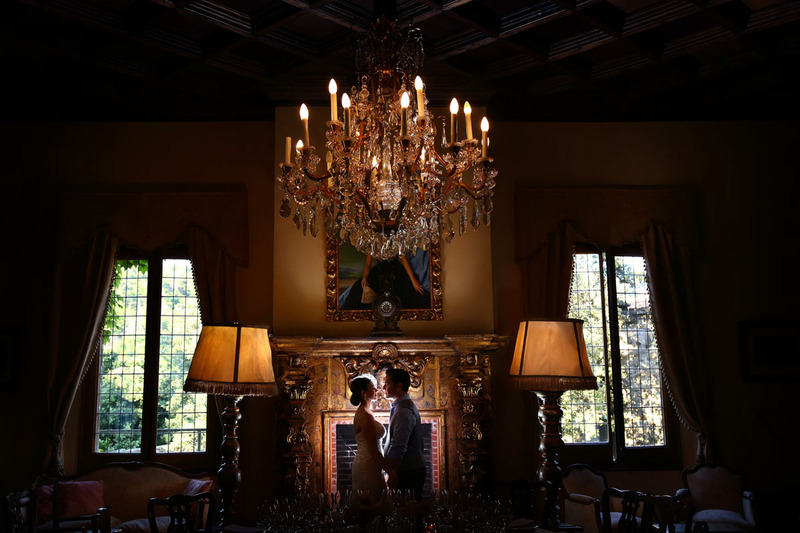 The Baronia is a perfect place to make photographic reports with the couple, because you can find different locations with different lights that make the result very different and complete. 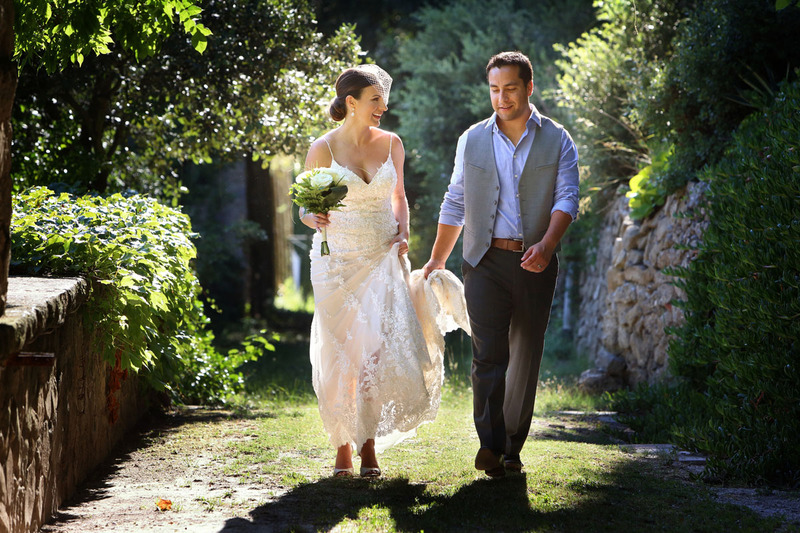 The wedding planner accompanied us at all times so that the couple will feel more comfortable during the report. 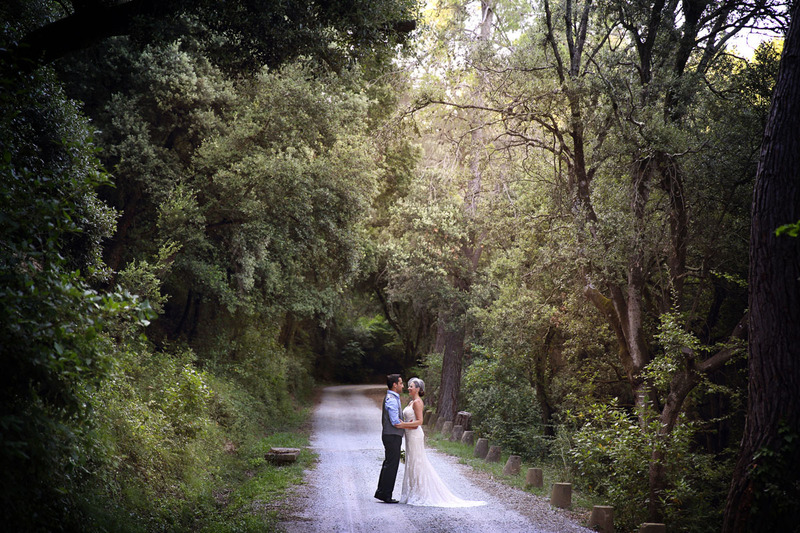 We started the photographs next to the ceremony and little by little we moved to the upper part of La Baronia to find a different light and take advantage of the path that leads to this farm. It is a place surrounded by nature ideal for many couples. 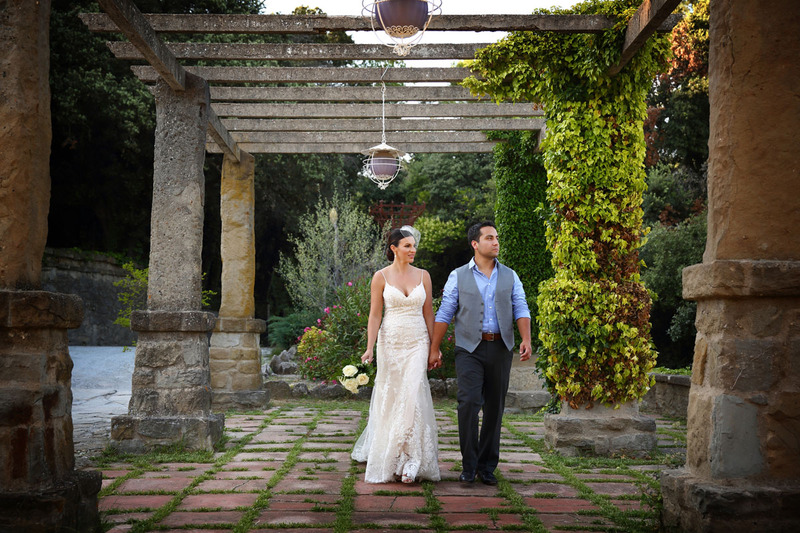 After we entered the farm and made some photographs inside, to finish the story on the characteristic covered terrace a symbol in the Kiwoko that we are in La Baronia, an ideal place to celebrate your wedding destination in Barcelona. 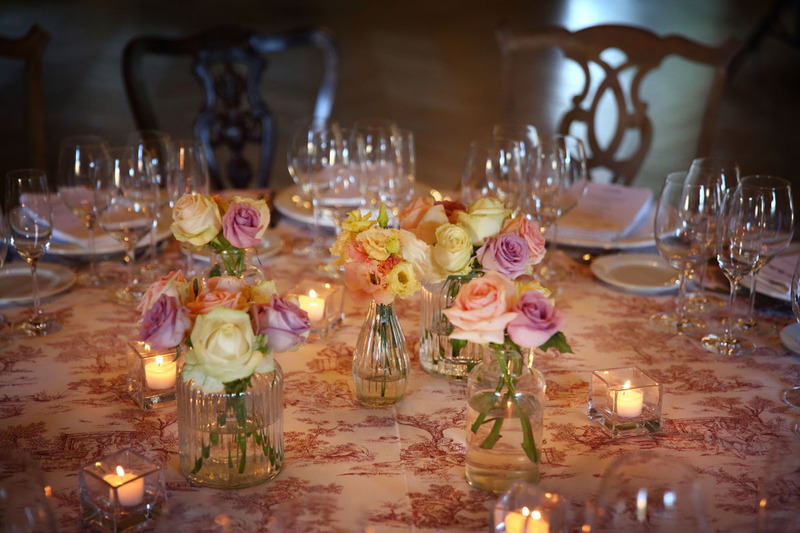 After enjoying the magnificent appetizer that the wedding planner organized, both the guests and the bride and groom entered the house where the dinner table was prepared. 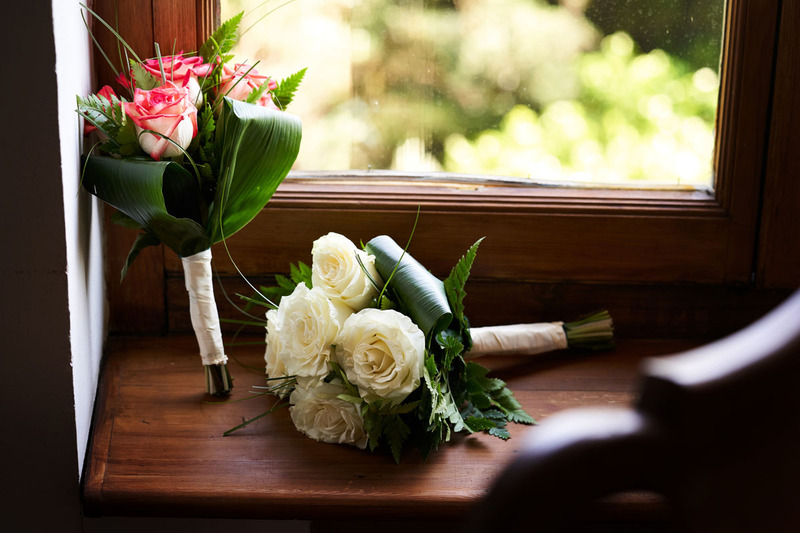 It is at times like the ceremony and the assembly and decoration of the room, where you can appreciate the sensitivity of a good Wedding planner. 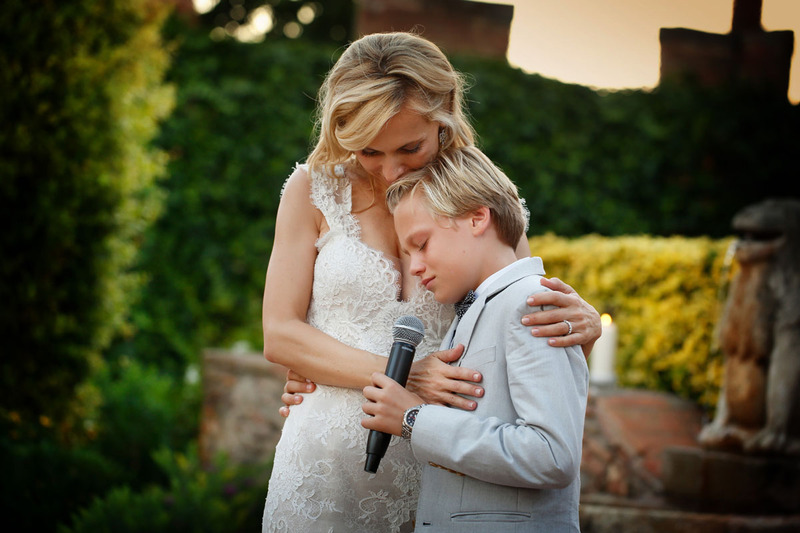 Being a very small wedding with only 15 guests, the dinner of this destination wedding in Barcelona was very quiet. After dinner the presentation of the cake was made that the bride and groom cut with great enthusiasm in front of all their guests and relatives. Finally, the wedding planner prepared a very original dance area, it is the terrace that has this farm whose views are spectacular. 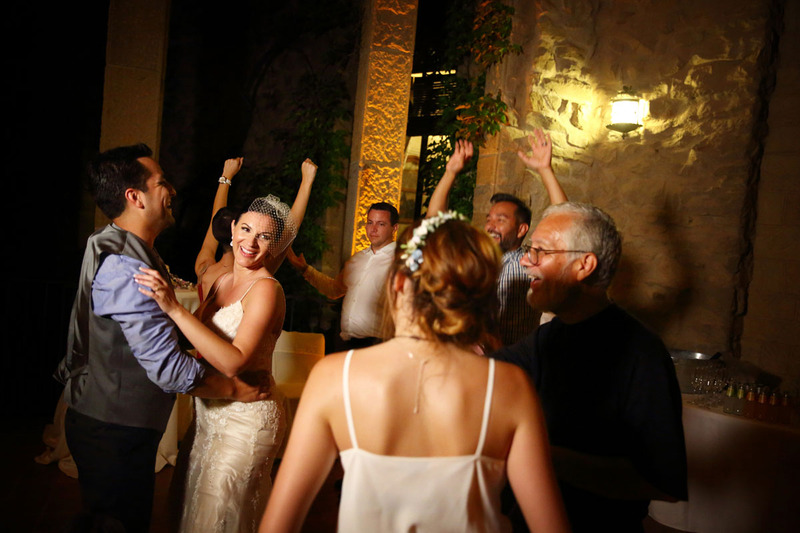 Once the terrace arrived, the first dance of the bride and groom started, and all the relatives who attended this wedding destination in Barcelona immediately joined. The Baronia is a farmhouse of the early twentieth century on which was made a modernist building that was commissioned by a disciple of Gaudí. And then its interior decoration is full of furniture and crafts of the time while the lower part, where the original farmhouse was located, was used for housing, service, stables and stables. This unique building has a curious history because during the Spanish Civil War it was first used as a military hospital and later changed its use completely to allocate pressure. After the war, his original family recovered the farm and completely rebuilt it. 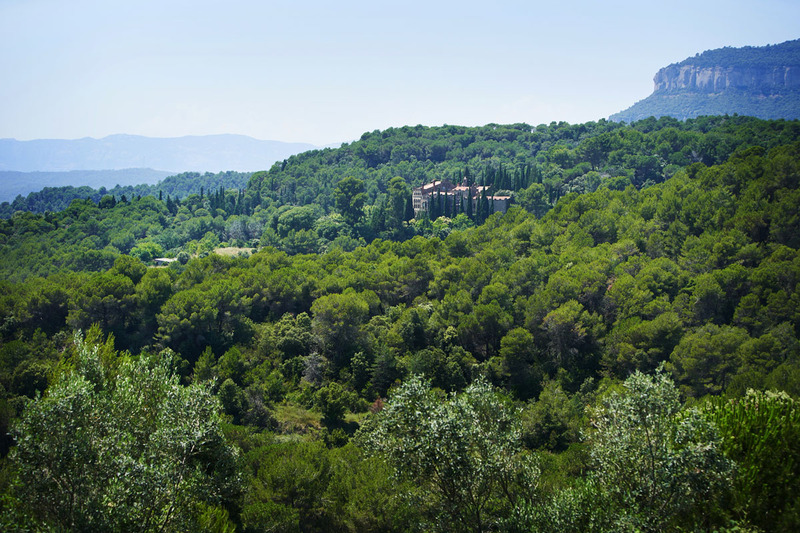 The house is surrounded by woods and nature everywhere, and has beautiful views that overlook the town of San Feliu de Codines which is in the eastern Vallès region. 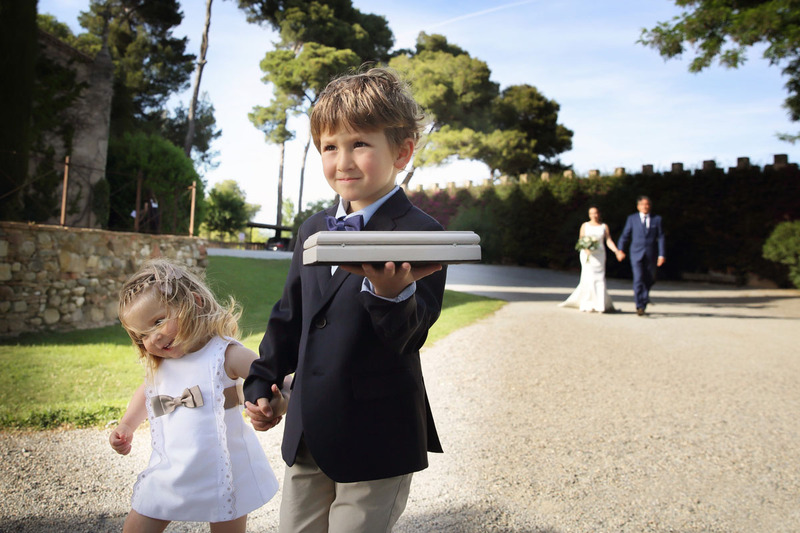 Its exteriors make it a special and perfect country house as a destination wedding destination in Barcelona. 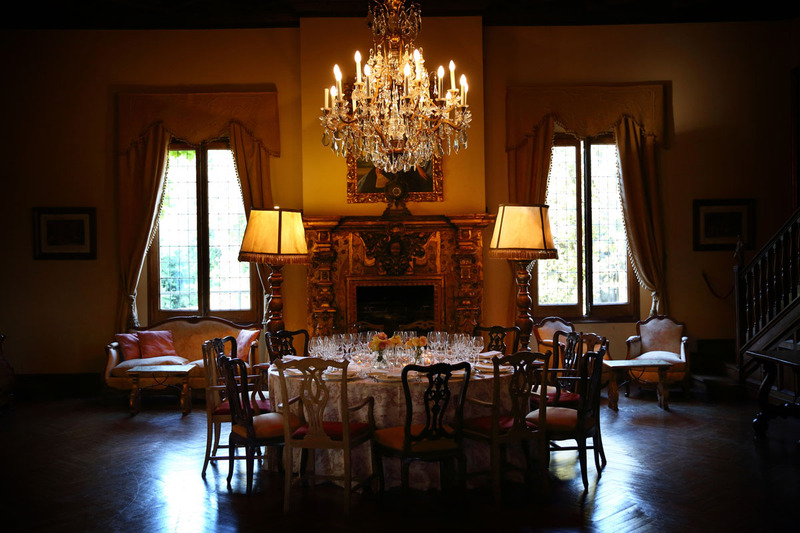 As for its interiors, we must highlight its elegant halls decorated with antique paintings and period furniture that make this property an ideal space for large celebrations and gala dinners. This space has a capacity of 300 people if what you want is to organize a snack. The Wedding Planner promotes this space especially because it is a private estate that has its own kitchen and where only one wedding is held per day, therefore it is an exclusive place. Since the property is described as a luxury space, nature, with a historic architecture. 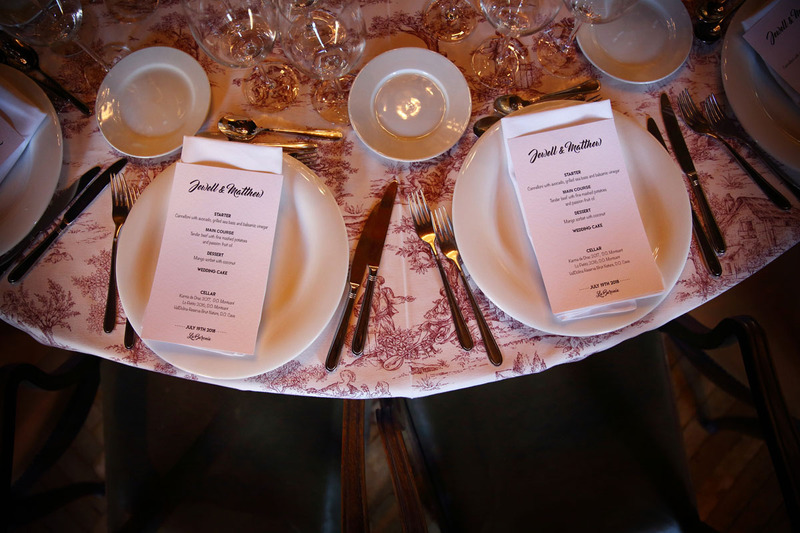 With the rental of this farm you can enjoy a menu test for six people, the special decoration of the tables, and the printing of the minutes and the position of the tables for the guests. 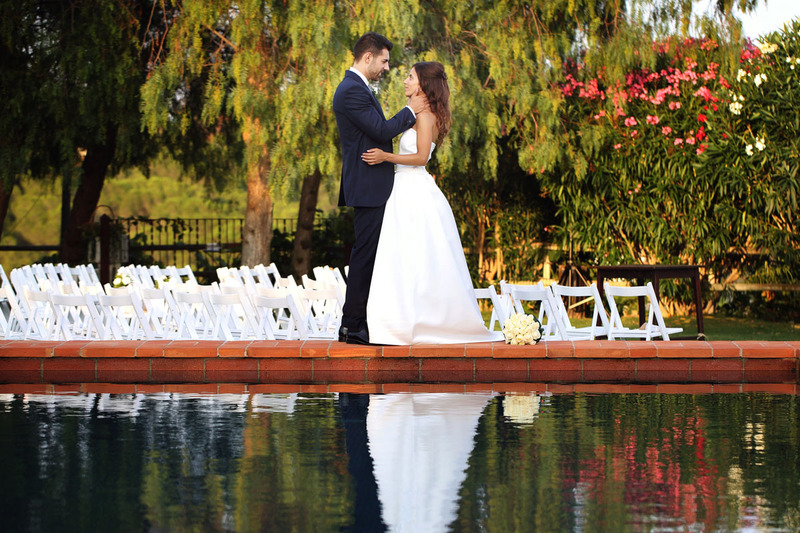 It includes a hot and cold appetizer and different menus to choose from including the bridal cake and the service of a DJ during dinner and dancing. You can also have a chillout setup in the pool area where in summer it is very common to enjoy dancing and disco. 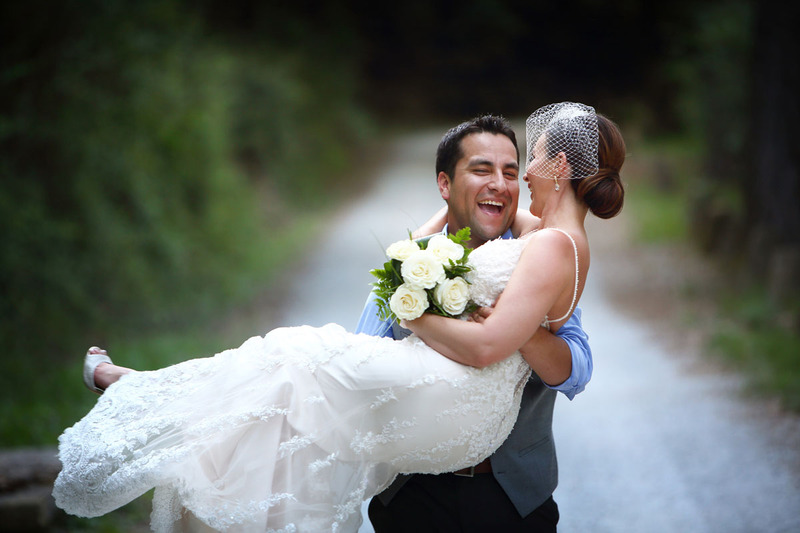 Apart from all this services you can also hire any other kind of service such as civil ceremony, dinner, ornaments and extra floral decoration, wardrobe service, photography and video, responsible for children’s entertainment, or if What you need is to move you can also hire Autocares or special cars. Another exclusive service may be to hire a live band. 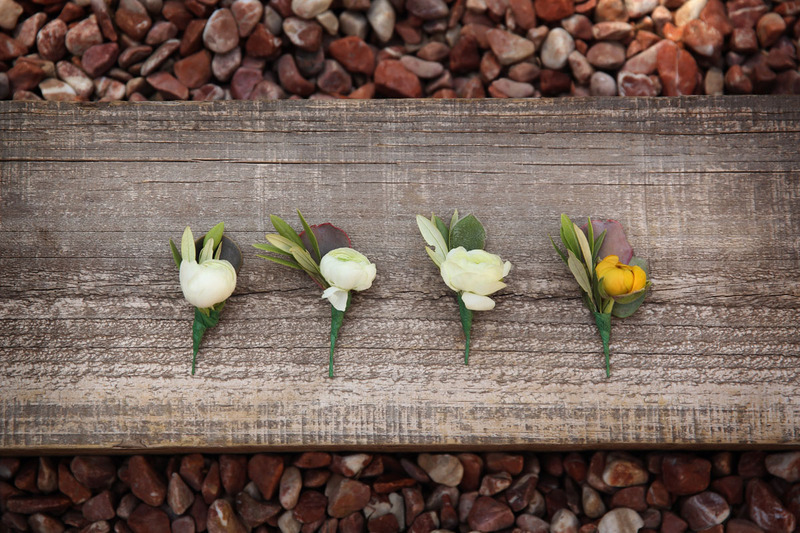 Another service performed and related to music at the ceremony is to hire gospel groups, string ensembles, sopranos or any other idea that comes to mind. From the management is given the option to rent only the space without the restaurant service, hiring an external catering.From the own farm and talking about their gastronomic offer also give the option to prepare special menus for vegetarians, vegans or celiacs. 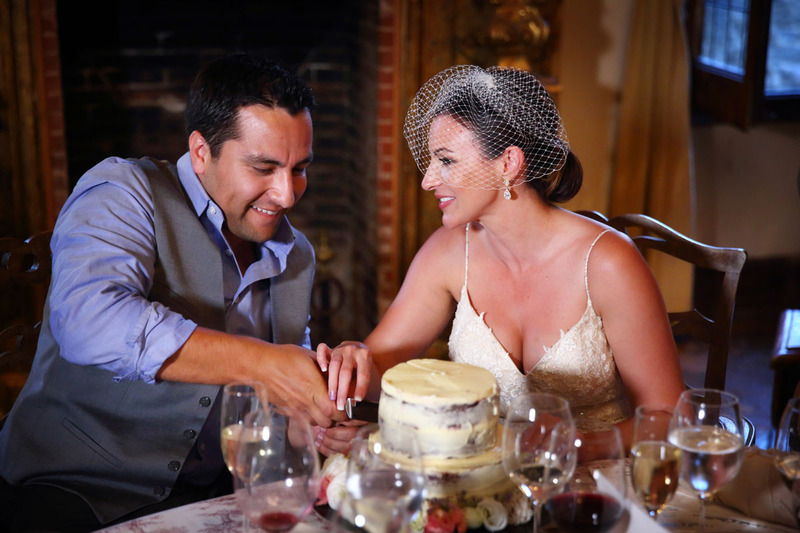 It is also possible to bring your own bridal cake without having to pay any additional surcharge. 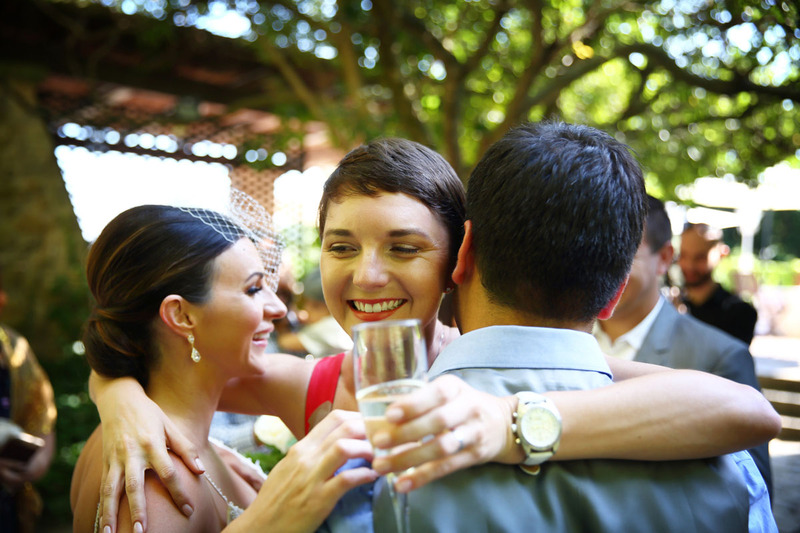 The open bar is included in the menu and the parties have no time limit. 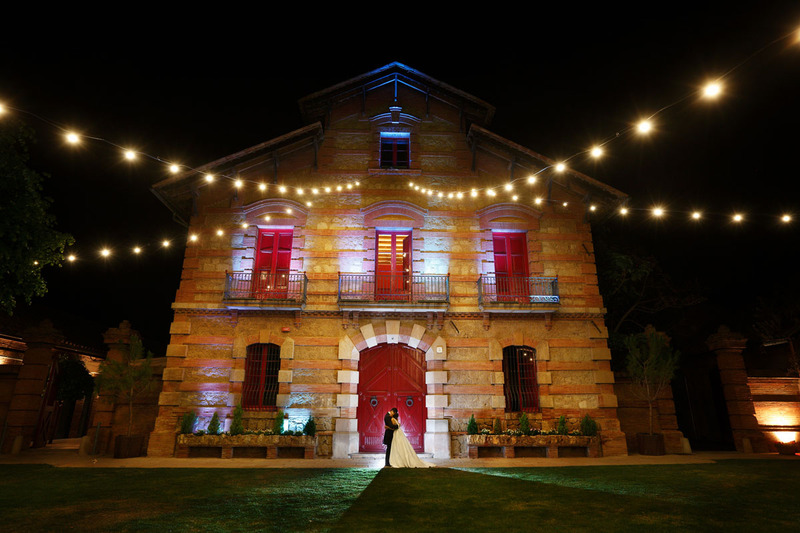 All these services make this farmhouse a perfect place to celebrate your wedding destination in Barcelona. 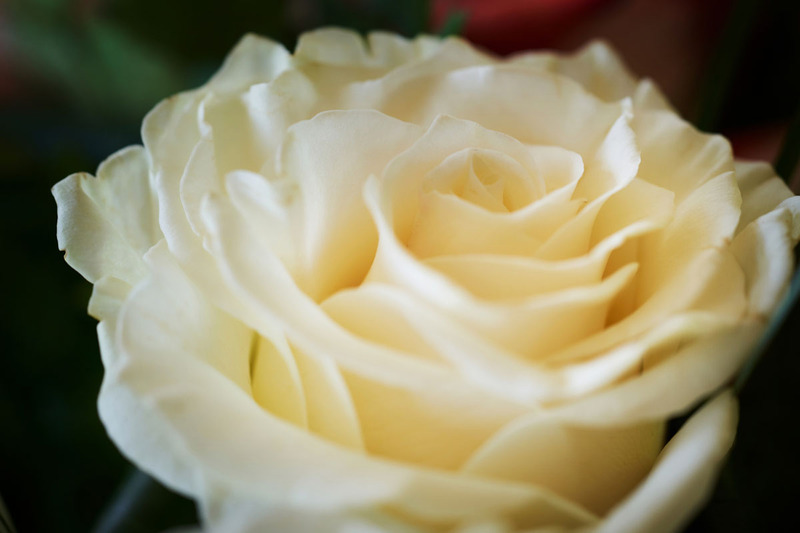 As for the ceremonies, it is possible to celebrate them in different locations of the farm and even from the farm they provide you with a peace judge or an officiant who performs the ceremony even in French English or any other language you request. 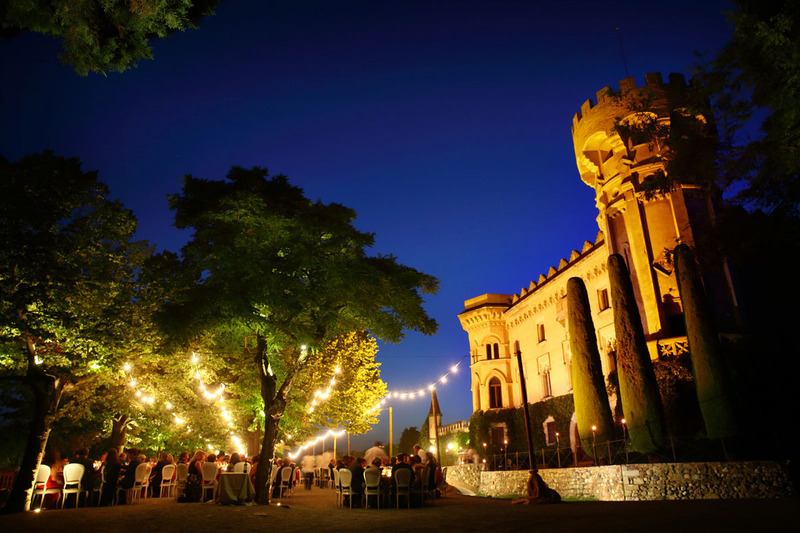 If what you want to celebrate is a meeting or another type of event, this farm is ideal especially for its proximity and proximity to the city of Barcelona. La Baronia has an excellent gastronomic offer, as it has its own kitchen and offers various classic and modern menus, always thinking of traditional Catalan cuisine and using the highest quality products. 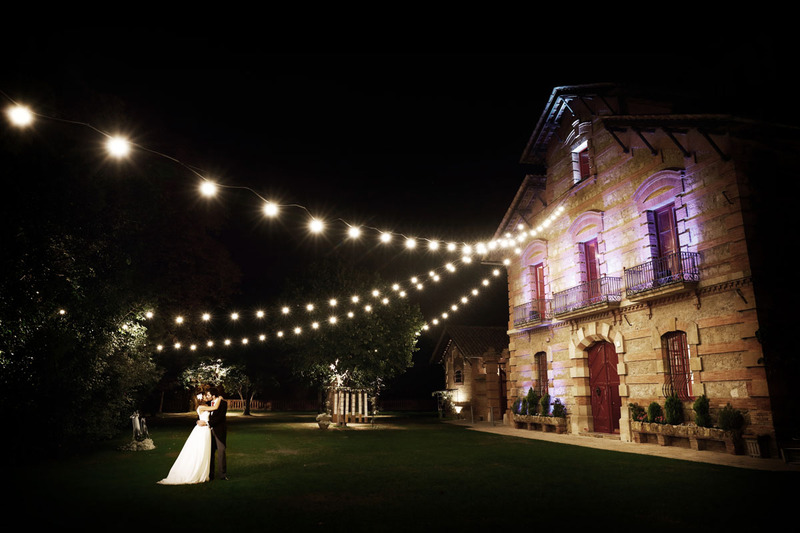 This space mainly prepared by the wedding planners to make a perfect destination wedding in Barcelona is located on the road from Mollet to Moià kilometer 23,800 and belongs to the town of San Feliu de Codines. If you are coming from Barcelona, ​​you must take the Barcelona-Gerona AP 7 motorway and take the exit number one after the toll that will take you to the road to Caldes de Mombuey, and find the entrance to the farm at kilometer 23,800. To reserve or clarify any doubt you should go to the contact that we find on your website and talk directly with the commercial department that is headed by Susana Rufin. 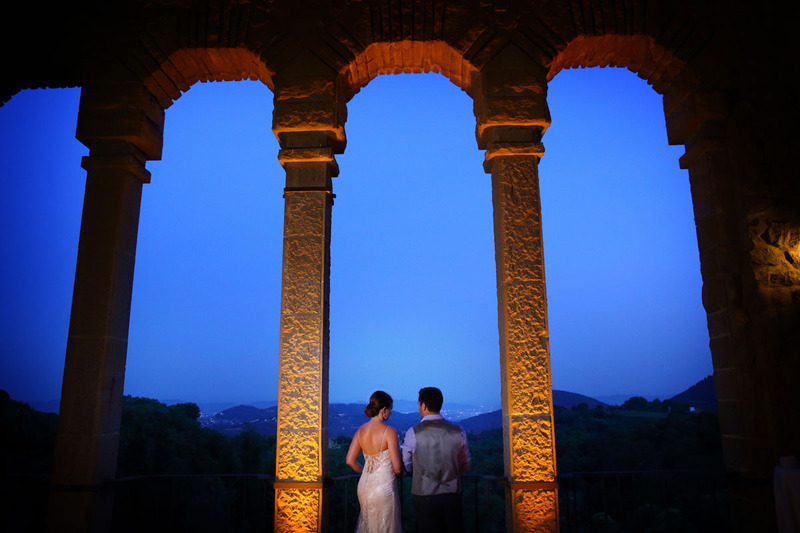 As wedding photographers in Barcelona we love working in places where we have been before, because we dominate the space and we know where the best points of view are and we know the best angles. From oliver and Viladoms estudio we want to thank the couple, Matthew and Jewell for trusting us to take the photographs and Video of one of the most important days of their lives.